Animation in Website Design - When and How to Use It? As per Wikipedia, the animation is the dynamic medium in which the images or objects are manipulated to appear as moving images. Now animation can be designed with the help of computer-generated images. This has impacted the web design industry as well. In the earlier days, the websites were quite basic with the help of simple text and static images. Now various new innovations have been implemented into the websites. One such element that is used in almost all the websites is animation. 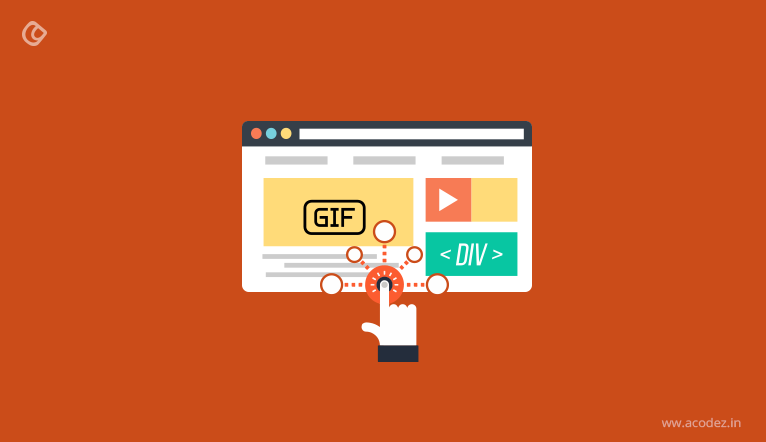 The animation in web UI design range from the full-screen moving images, sliders, hover effects, GIF animations, and in various other such places. It is because the animation is quite on trend and is fun and user-friendly. It has become feasible in the recent days with the latest innovations in the web technology and the increase in the high-speed connections. These can be elements like simple underline that appears when you hover over a word, full-screen video, background image, website scroll, rotate effects, and various other such effects. Animations nowadays have become quite usable and mainstream. In a number of cases, these are self-evident that the users need to either click or scroll to visit the different sections of the website. Even now, if you are using flash on your websites, it is the time that you switch to alternative technologies as flash is not supported by a number of websites. Adobe too will be ending flash support by the year 2020. How to implement animations in the web design? Now a major question arises, why should you use animation on your website. There are various benefits of using animation on the website. The animation of the website helps you to stand out from other websites. Small animation helps you to create some amazing website designs and effects on the website. These can help to draw the attention of the users to a certain element to display a certain information that can turn out to be useful to the users. It also helps the users to keep them entertained while the website is loading. Beautiful and interesting animation keep the user to stay on the page till the website loads and do not go to the other website. Good loading animations are engaging and if they are provided with something interesting to watch they wait and focus less on loading time. Realism in web design is implemented in today’s world and makes use of flat and minimalist design. In such designs, simple animations can help guide the users to how to access the website by showing them with the next step on their journey through the website. This is achieved without the need to change the aesthetic of the website. It can help you to tell the stories in a visually aesthetic format. Some of the animation can also help you to keep your visitors entertained thereby helping them to visit the website again and again. This enhances the website rankings as more and more visitors frequent the website. It provides a better user experience to the visitors of the website thereby improve their online experience. Call to actions are the ultimate goal of the website. In a number of cases, the animations help the users to be notified of these call to action buttons and then help the users to perform the task intended. This can be done by telling the story in the form of animation and create the visual interest and keep them engaged for longer time duration. Communicate with the users by telling them if the form is filled correctly or not. It can also help to know if the element is clickable by highlighting that element. It is necessary to keep in mind that the animations that you implement on your website must help the engaging and interesting. In this case, you need to also ask that whether the animation would add to the user experience or not. Why Should You Emphasize the Visual Context in Web Design? A proper balance must be maintained in the web design as mixing up of too many moving effects can lead to chaos in the web design. It is necessary that you decide if the animation implemented will add to the user experience or take away from it? Will they influence a user’s behavior and help conversions and CTA clicks? Knowing your personas is important so that animations truly help achieve your company’s business goals. The animations into a website can be of two different types, small animations, and large animations. Small animations are the animations in the small items on the website like hover effects on menus, highlighting or underlining certain items on hover, color change on clicks, zoom effects on clicks and hover and several such tasks. These contribute to the overall aesthetics of the website. Large animations are the animations with a scale to them. These occupy a major portion of the screen and form a contributing factor to the website design. In order to put it into action, you do not need to perform any extra task. These may consist in the form of movies or large images. This is one of the most popular forms of implementation of animation. It is advised to make the page load times as fast as possible. However, in quite heavy sites, the page load times can’t be reduced. In this case, it is necessary that the animation is fun and engaging. However, it is necessary that the animation loads faster and do not take too much time to load. Any other sound effects should not be played while loading the page as it turns out to be irritating for some users. This can also be implemented when the fun loading times are short. Animations can be sometimes used to keep the users engaged and can also be funny sometimes. In such cases, it is necessary that you use such graphics that can keep your users engaged. Take for example Acodie the mascot of our website. It is quite funny with Acodie sitting on the bicycle. A closer look shows Acodie moving on the bicycle and clouds passing. Even a closer look shows the eyes of Acodie move from one side to the next. The progress of a particular task can also be achieved through animation. This can be used for both the linear progress and multi-step linear progress. In a number of cases, new users may not have any idea of how to proceed with communication. In such cases, the animated responses can help the users to get an idea of how they should proceed with a particular task. This reduces the confusion of the users and helps them proceed with the task that they intend to do. 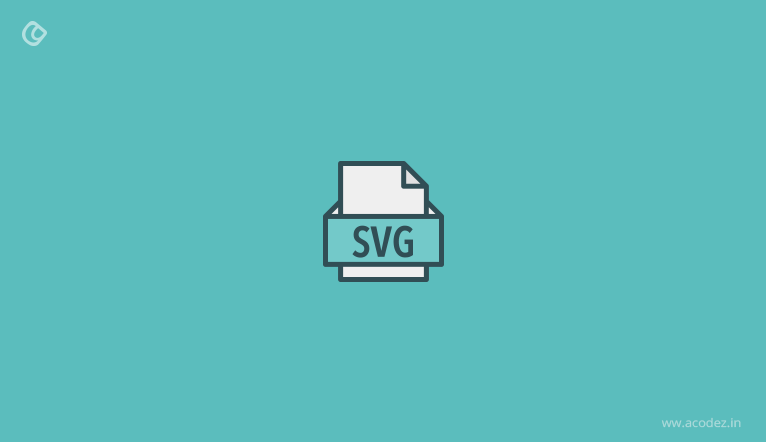 The SVG animation is also used by a number of web owners by creating SVG animations. These can be used to scale small elements and makes sure that it works the best on all the devices. In some of the cases, it is necessary to provide information to the users that certain elements are interactive. In order to know if certain elements are responsive, the users hover over certain sections. This can be used to display the information that they have clicked on the button or other such important information. Hence, in such cases, it is necessary that you provide hover animation to know that certain elements are interactive. While most of the logo is static, it is not necessary that they should be so. Take for example the Xmas logo for Acodez. Here you can quite clearly view that the blue part of the logo transforms to become a Xmas tree. The transformation is sure to attract the users and have a look at what transformation is taking place in the logo and see the end results. In such a case, it is necessary to not the transformation to last for too long. In case of mobiles, the hover option is not available to the users. Hence in such cases, it is necessary that interactive elements must suggest what these elements do before the users tap on them. This helps to provide instant feedback after the interaction. Every website or web owner has a story to tell. This can be either their progress over the years or awards achieved. Hence it becomes necessary that you implement the animations properly to tell your story to the users. Take for example the site Acodez awards page. Here the different awards can be accessed by sliding the slider and helps to better understand the growth of the company. Animations turn out to be quite useful for the web owners and if implemented properly can help them achieve outstanding results. Hence it is necessary that you provide your users with a fun and positive experience on the website with the help of animations. A balanced approach must be taken to make the web engaging and not overdo it to make it irritating for the users. Acodez is one of the best web design company in India which aims to provide a beautifully aesthetic website to the clients. It also aims to make sure that the website designed follows the latest web guidelines mentioned by the experts by implementing the latest web technologies.